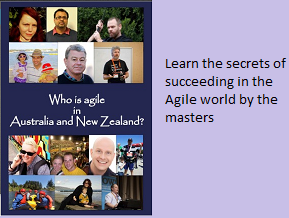 Agile World: Who should be blamed for a failed Scrum Project ? An interesting discussion about Who should be blamed for a failed Scrum Project ? in Scrum Practitioners forum made me to write this short article. As I started putting the comment together to respond, I was getting more questions than answers. Personally, I feel that as long as there is a blame game culture around, the weakest one gets the blame. My experience has been that being more vocal one could push away blame easily. As far as I know, there is no democratic debate to nail down the culprit, its all about witch hunting. Following paragraphs provide additional reasoning. Wearing a purists hat, Trust is the foundation of all the work. Whether it is Software or non-Software work, Whether one follows Waterfall, Six Sigma or Agile. Failure is a hall mark of Mistrust. Did the team raise any issue at all during the Scrum Meeting ? If not, why not ? If, they had raised the issues, did the Scrum Master track it ? Did Product Owner attend the Scrum Meeting regularly ? Did he/she catch the issues ? Are the team afraid of bringing out the issues upfront ? Who is influencing this behaviour? Did retrospective happen regularly, and issues were brought out during retro ? Did stakeholders/Sponsors attend the retrospective ? Did they show any interests in the “What is not working well” column ? If the team is not following any of the Scrum recommended practices, project itself is initiated with the wrong footing. Should someone be blamed for this ? Answers to the above questions evoke a different set of answers and emotions. It seems to me that the person who should be blamed for a failed SCRUM project is the person who decided to use SCRUM in the first place. The idea that you can view a software project as nothing more than a linear series of features ("backlog" yeah right) is as preposterous as viewing a house as being nothing more than a collection of rooms, having no underlying common architecture, shared infrastructure, plumbing, wiring, foundation or roof. Oh yes and no architect and no blueprint. How much sillier can you get? Dave, Thanks for the comments. I agree with your inputs partially. Probably the person who might have decided would have done with a good intention.